I THINK VISUALIZATION IS one of the most important things in life – I even want to do it more myself. Here is another ‘part’ about it…enjoy! Visualization is one of the best techniques for harnessing your mind’s power to shape your life and move you towards your dreams. Some call it mental imagery, too, there are lots of names for it.The idea is simple – practice the video of what you want over and over, in great detail. Basically imagine it! We all want to do different and various things – maybe you’re looking to be more positive, to stick to your diet, to improve your golf swing or to end a bad habit. Simply create an idea, a vision or an image of something new. “In creative visualization, we use the power of imagination to create a mental image of what we want to accomplish or obtain. You might imagine yourself driving that BMW you always wanted, owning a home in the country, married to your ideal mate, succeeding at your job or having $100,000.00 in your bank account. No matter what your goal, the technique is basically the same. You imagine the desired outcome in your mind. At the same time, you repeat a positive affirmation about the goal. The affirmation is in the present tense. Imagination is the beginning of creation. You imagine what you desire,you will what you imagine and at last you create what you will. There is strong scientific evidence that visualization can be used to dramatically improve your results in sports, public speaking, performing arts and anything else which involves practice. In one study, Australian psychologist Allen Richardson conducted an experiment with basketball players making hoop shots. He divided the players in three groups. Group A – was asked to practice their shots on a basketball court for 20 minutes a day. Group B – was asked not to practice at all. Group C – was asked to mentally rehearse shooting a basketball through a hoop for 20 minutes each day. At the end of the study Group A improved their hoop shot ability by 25%. Group B, as expected, showed no improvement at all. What was truly surprising, was that Group C improved by 24%, almost as much as Group A, even though they had not physically set foot in a basketball court. There is also overwhelming scientific evidence that visualization can be used to heal the body. Doctors such as O. Carl Simonton have been helping patients recover from serious illnesses such as cancer by combining visualization with modern medicine. The patients often made dramatic improvements simply by visualizing their bodies behaving in ideal, healthy ways. We’ll look at more of this fascinating evidence in our next lesson which will be on mind-body healing. What we’re going to suggest in this lesson is something even more incredible. Your mind’s influence is not just limited to improving your emotions, skills and physical body. Your mind can influence the world outside your apparent physical control. In other words, your mind can spawn amazing coincidences to move you towards your goals. The coincidences could be things that were seemingly unconnected to you and beyond your control. The techniques we will teach you do not just make you more focused on your goals. They directly influence your reality. Laboratory evidence pouring out of universities such as Princeton and Stanford has shown that volunteers are able to influence matter by their thoughts. So far the evidence has been limited to effects on random number generators, dice and electronic equipment. We will look at some of this evidence in Lesson Seven. What is still lacking is scientific evidence that visualization can create “coincidences” in the physical world, outside your immediate control. This of course, is hard to test in a lab. But thousands of scientists and millions of other people in the world do believe in this because they have experienced it in their own lives. In short, just because an effect cannot be tested in a lab, does not mean it does not exist. I believe that the mind has the power to affect groups of atoms and even tamper with the odds of atomic behavior, and that even the course of the world is not predetermined by physical law, but may be altered bythe uncaused volition of human beings. Let’s take a look at some of these personal experiences. Millions of people worldwide have reported such coincidences. while affirmations are good, Silva pioneered a technique that is far more powerful than using simple affirmations. This technique is called creative visualization. This involves visualizing the end result of your goal or desire while you are in the alpha level of mind. 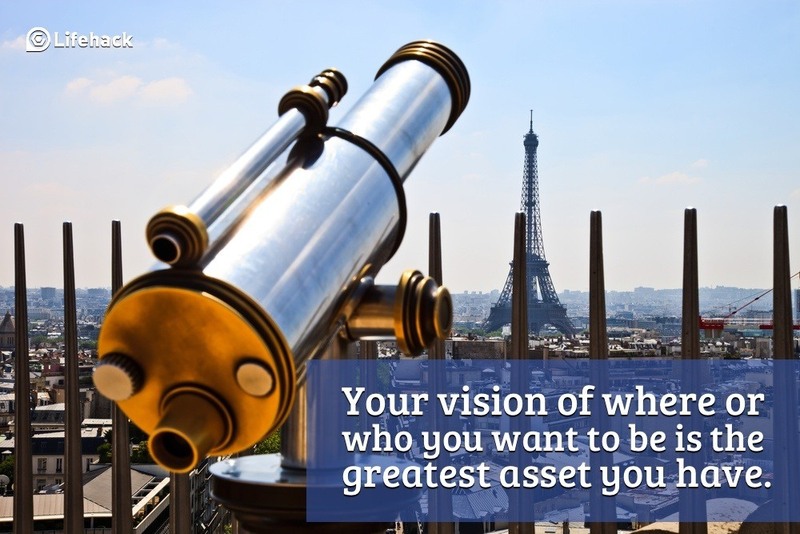 Just like affirmations your visualization should be done in the “present tense”. Lets say you’re looking to own a brand new car. You want to visualize yourself in the car and feel the moment as if it is happening this instant and not at some time in the future. In other words, feel the sense of joy in owning the car, rather than the sense of wanting or the sense of desire for the car. To visualize effectively Jose Silva suggests creating a mental screen in front of your eyes. This should be like the screen you see in a cinema. It should be forward, in front of your eyes, and raised at an angle of around 20 degrees. The screen should be at least 6 feet in front of you. Make the screen as large as you can, almost like a movie screen in a cinema. Close your eyes and visualize the mental screen, raised slightly 20 degrees above the horizon, and at least 6 feet in front of you. When you perform creative visualization you will project images onto this screen. If you are looking to improve your sports skills, visualize yourself playing the game perfectly. See yourself making perfect moves, shooting every basket, making the perfect swing. Feel the joy you feel when you play the game well. If you are looking to shed some pounds, see yourself healthy and fit. Feel the joy of having a beautiful body. See people complimenting you. As you describe the image in detail you will find that the image also takes on more detail. This, in turn, gives you more things to mentally describe. One feeds into the other and your imagined image becomes more and more vivid. Don’t get stuck on the term “visualization”. Different people have different dominant senses. The most common dominant sense is the sense of sight. This is why for most people the process of visualization works well. Some people, however, may have a dominant sense of touch or hearing or smell. These people may have difficulty “visualizing” but may be able to accurately imagine sounds, smells or feelings. For these people it’s important to incorporate these senses into their “mental experience”. Someone who was born blind for example, can still engage in creative visualization, but rather then see images, they would create the mental experience by using their mental sense of smell, hearing, taste and touch. Make the image as realistic as possible Incorporate movement, make the screen three-dimensional. See colors and shapes. Use the streaming technique if you have difficulty visualizing. Feel emotions associated with the image Joy, happiness, a sense of fulfillment. How would you be feeling if you had what you wanted? Imagine and explore this feeling. A thought without emotions has no energy and no force behind it. It is like running a car on empty. Feel the emotions of having what you want. Bring in your other senses Feel the wind blowing on your face; imagine the scents involved with the images. Feel texture and temperature. The more senses you involve, the more real the image is to your subconscious mind. Remember the more realistic the visualization process, the better and faster the results. Don’t be discouraged if you do not get immediate results. We are all at different levels of spiritual development and some of us have years of negative programming and negative belief systems to overcome. But overcome them you shall. Creative visualization can be such a powerful process when done at the Alpha level that just five minutes a day of practice can undo years of negative programming. Furthermore, once you get your first success your belief system gets strengthened and this will allow you to manifest your next goal a little quicker. Masters who practice regularly find that they do not even have to go to a meditative level of mind and spend time repeatedly visualizing their goals. A mere conscious thought of their desire can set the gears in motion and create coincidences to direct them towards their goal. Napoleon Hill, “Think and Grow Rich,” (New York: Fawcett Books, 1960), pp. 158-160. Michael Talbot, “The Holographic Mind,” (New York: HarperPerennial, 1992), p. 88.